SeoHosting Review 2019: Is SeoHosting a Good Hosting? Turkey-based SEOHosting.com.tr has over eight years of experience in the European hosting market. With a full suite of hosting solutions, it can take care of all of your shared hosting, VPS, and dedicated servers needs besides extras such as domains and SSLs. SEOHosting.com.tr is a medium-sized hosting company that provides domain registration services, SSL certificates, SEO web hosting, individual hosting, corporate hosting, and dedicated resources such as VPS and private servers to locals and European customers. The company operates high performance and high availability servers in multiple locations. Its website is in Turkish. Whenever I move to a new hosting service, I always pay attention to two things – stability and availability – as both have the potential to make or break a website. I was happy to see that SEOHosting.com.tr delivers an impressive 99% uptime guarantee across all plans. The magic behind it is its robust hosting infrastructure, which is equipped with high performance servers that run on Intel Xeon E3 and E5 processors and are connected to SSD disks and RAID. Individual hosting is both e-commerce-ready and compatible with WordPress. Within minutes of joining the site, customers can build their blogs or websites using any of the CMS web apps or create stores using out-of-the-box solutions such as osTicket, OpenCart, PrestaShop, and Magento among others. SSL certificates are included and they’re a great way of securing your websites and web resources. I know what it feels like to work on a website for three hours straight and then have to start all over again because you lost the changes. SEOHosting.com.tr has an answer for that with its daily and weekly data backups, which enable you to recover data and even roll back your website to any instance. SEOHosting.com isn’t just right on the money, but delivers a satisfactory hosting service and a remarkable performance at all levels. All its hosting packages come with SSD storage and include multiple network connections with fantastic uptime. Scaling up to dedicated servers, you get multiple configuration options and the opportunity to choose the location of servers. Extras such as premium SSL are available too at a reasonable price. I double checked the pricing of annual SEO hosting plans, individual Linux hosting plans, and dedicated servers because I thought I had confused them with its monthly plans. Both shared hosting and dedicated servers are supercheap. In fact they’re a fraction of the cost of established providers like BlueHost and Godaddy. Free DNS Management, ID protection, and email forwarded are included in all plans. No matter what plan you choose, I believe you’ll get good value for your money. 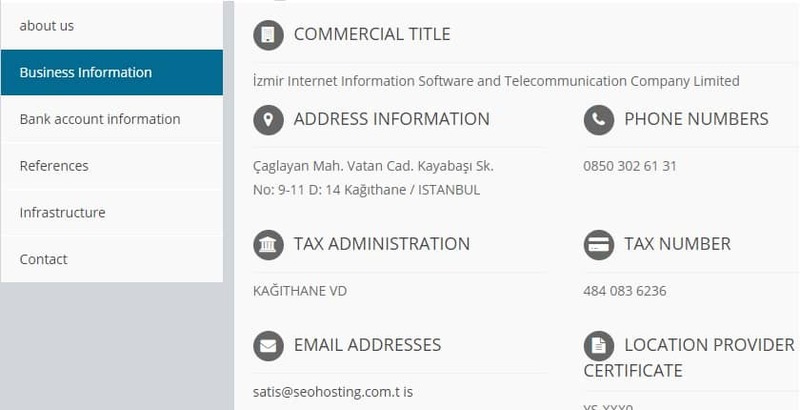 Though SEOHosting.com.tr doesn’t provide multilingual support, its Turkey-based technical team is known to resolve DNS issues, hosting issues, and even carry out hardware replacements quickly. I tried reaching out to the support team via live chat during working hours but they were unresponsive even though we’re in the same time zone. Instead of leaving a message and wondering when they’ll get back to you, I’d advise you to call their telephone support number or send them an email. 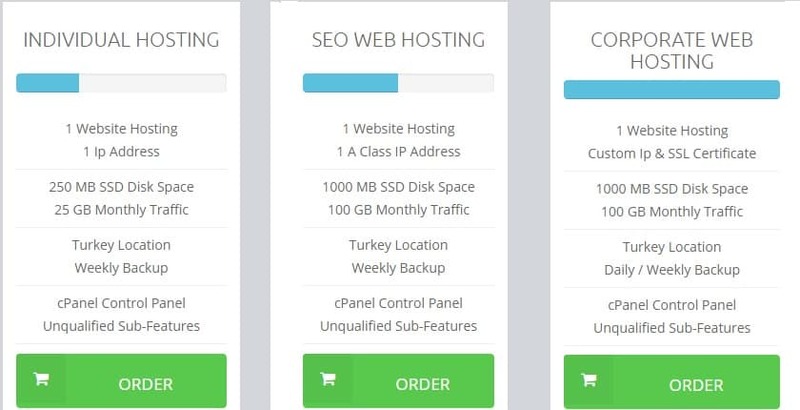 With a number of SSD-powered hosting packages, SEOHosting.com.tr delivers robust yet affordable hosting plans to customers who want to create websites or e-stores targeting European customers. Wondering how SeoHosting stacks up against other Web Hosting companies? Enter any other Web Hosting company and we will give you a side-by-side comparison.